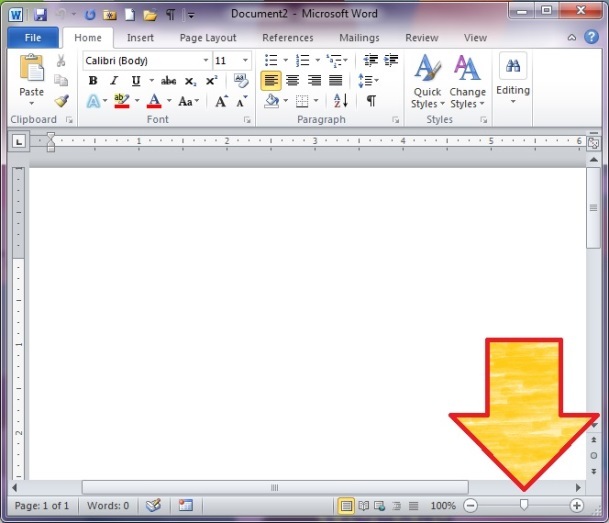 In Office 2010 you can find link to the location of the document under File tab. This link can be used to share the location of the document with others. 2. Underneath the file name, you’ll see a URL file path. Click on the file path. 3. Copy and paste the file path. Before I discovered keyboard shortcuts, inserting symbols into a document or email required several clicks of the mouse and some significant scrolling. With keyboard shortcuts your fingers don’t have to leave the keys. Remembering three to seven digit key combinations isn’t my forté so I compiled a quick reference guide that I keep beside my desk for those moments when I need an e with an acute accent. 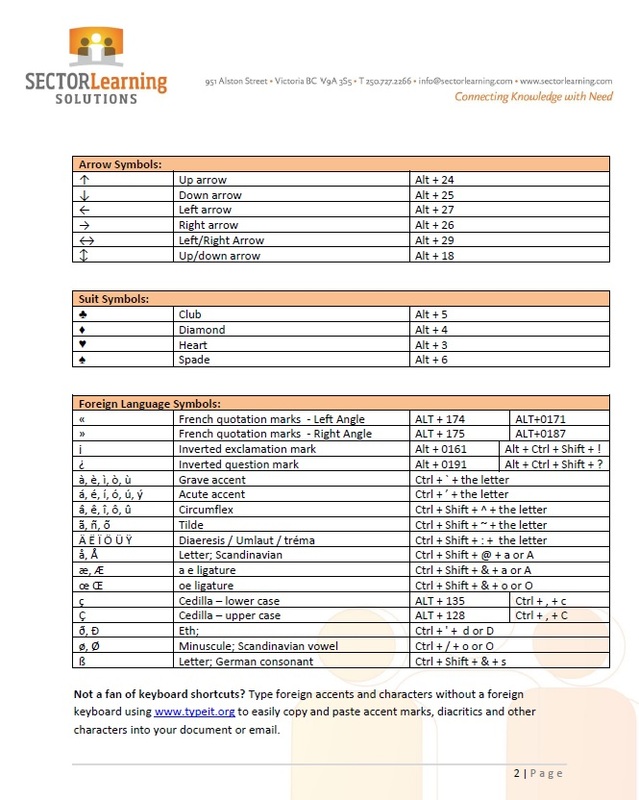 Send us an email at info@sectorlearning.com and we’ll send you a complimentary copy of this Quick Reference Guide for your files. Feel free to print out a copy to keep beside your computer screen. 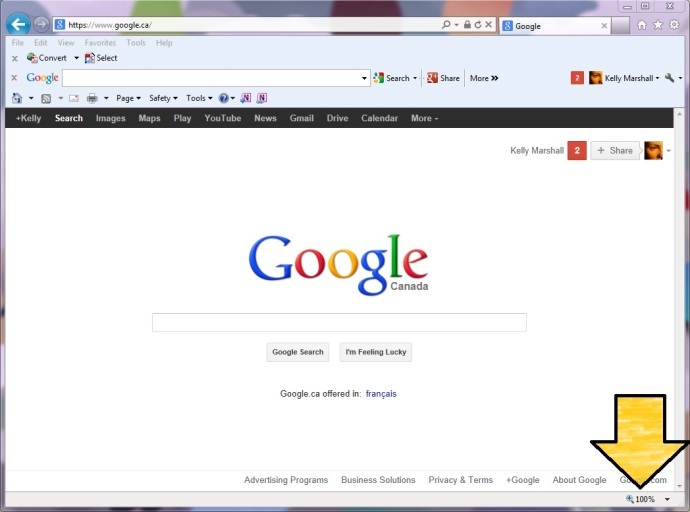 There are multiple ways to increase or decrease the size of text and images on a web page or computer application screen without changing the monitor resolution. But which way is the fastest? … both of these take two clicks, which is faster… but is there a faster way? 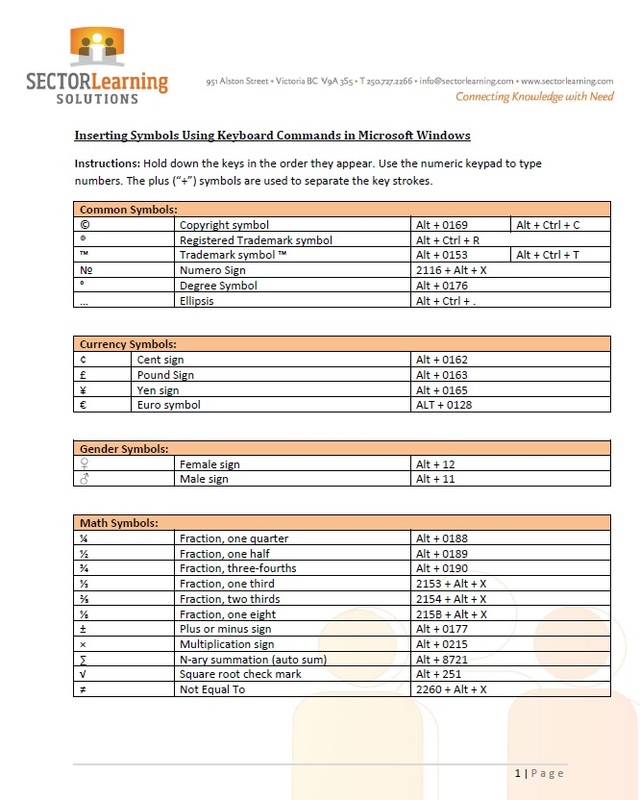 A well-known trick is to use keyboard commands. By pressing and holding the CTRL button on the keyboard and then pressing the plus (+) button, you can zoom in. Alternatively, you use the CTRL button with the minus (-) button to zoom out. 1. You have to remove your hand from the mouse to perform the action. 2. You often have to press the plus or minus key multiple times to get the desired result. And most importantly, this method only works in internet browsers. It does not work in Microsoft Word, Outlook or Excel. So what’s a person to do? 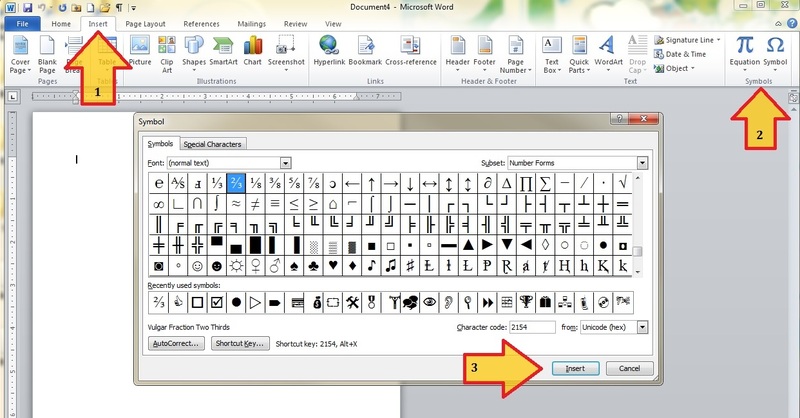 Fortunately there’s a time-saving trick that works in any program. By holding down the CTRL button on the keyboard while scrolling up (or down) with the wheel of the mouse you can zoom in (or out). 1. Your hand can stay on the mouse to perform the action. 2. 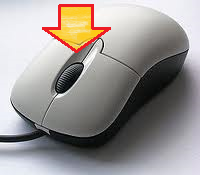 It requires one swift scroll of the mouse wheel instead of multiple clicks. 3. 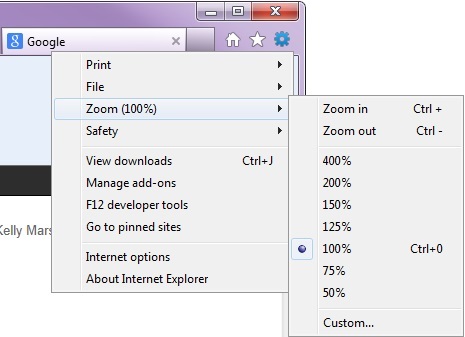 This method allows you to zoom in or out 10% at a time. One Final Tip: If you’re using the mouse wheel method in your internet browser to zoom in or out and you accidentally end up at a 300% or 10% zoom level, save your screen with this handy keyboard shortcut that will take you right back to 100% zoom level: CTRL button + zero (0) button. Are you planning an upgrade to MS Office 2010? We’ll help with a smooth transition. To this day, I continue to have “ah-ha” moments when one of our instructors or a coworker informs me of a new feature that I never knew existed. These save me time and turn tedious processes into quick tasks (two personal favourites are the Outlook Social Connector and the ability to add custom tabs to the MS Ribbon). I’m not one to dwell on regrets, but I now recognize that if I had taken a structured approach to refresh my skills, I would have regained my productivity a lot quicker and spent a lot less time cursing at my technology. That is why we will now be offering Microsoft Office 2010 : What’s New as an open enrolment course in January 2012 to allow individuals to receive the training in a group setting for a special rate: $295 per person. Microsoft Office 2010 : What’s New is not your typical course – it’s designed for learners who are already well versed in MS Office 2007 Word, Excel, Outlook, and PowerPoint and want to maintain their proficiency by reviewing the new features and changes to the Ribbon, Quick Access Toolbar, Images and Graphics, Word, Excel, Outlook and PowerPoint. If you know you want to register for this course in January, we invite you to be one of the first three people to contact Katie Caplan by December 5, 2011 to have the opportunity to work with her to select the open enrolment dates. 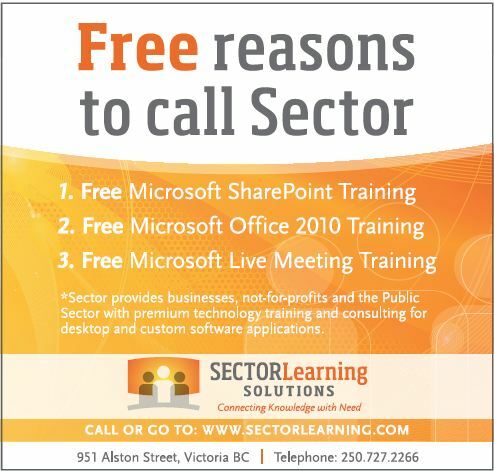 Our new ad in the November/December 2011 issue of Douglas Magazine, Victoria’s Business Magazine. MS SharePoint, MS Office 2010 and MS Live Meeting eClasses. where we discuss our new brand and the expansion of our on-line instructor-led ‘eClasses’. Sector Learning Solutions recognizes the positive impact that investing in continued skill development has on our learners’ job performance, productivity and attitudes about work and technology. Initiatives, such as Learn @ Work Week – September 19 – 23, 2011 – encourage organizations to celebrate the importance of learning in the workplace. the year. That is why we sponsor monthly professional development opportunities for our staff, including attendence at the Greater Victoria Chamber of Commerce’ Business Education Series as well as free attendance in our open enrolment courses. We want to assist you with continuing your own learning within your workplace. Contact us today to arrange a dedicated session for your group on a date and time that suits your availability.